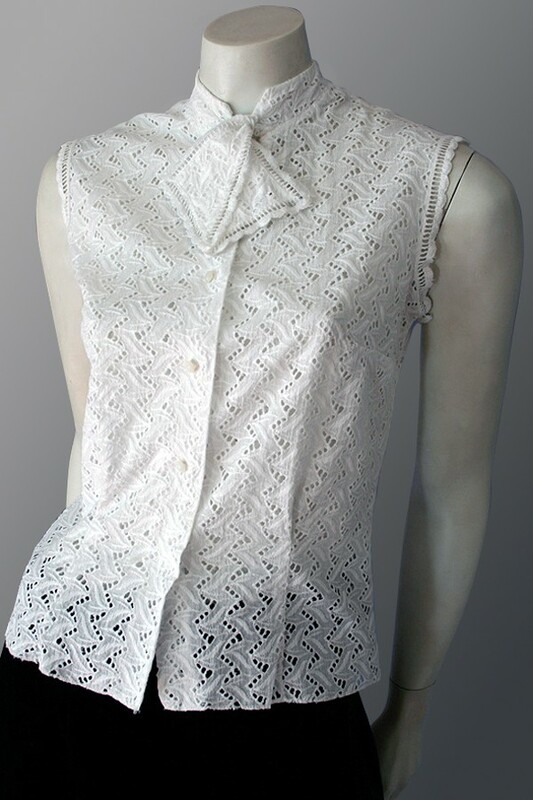 Crisp white vintage 1950s broderie anglaise cotton blouse with tie neck. Sleeveless fitted style with lace trim around armholes and tie neck. Closes at the front with 5 little white buttons and a press-stud at neckline. The stand-up collar is finished with two sweet ties. Very Miss Brooks. Condition Excellent wearable vintage condition.